Leeds Centre for Integrated Living (Leeds CIL) was set up in 1998 and provides a variety of support services for disabled and older people in the Leeds area who want to take control of any help they need with personal care and daily living tasks. They plan to further develop their services through other contracts and directly provided services to individual customers. 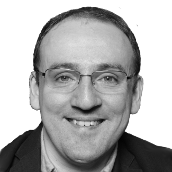 Rob has used his business to redevelop their website which launched at the end of June 2011 and he is a director in an advisory capacity on the LCIL Management Board. Free to Live is a peer support network for people who need help or care to live independently using either a direct payment or a personal budget. The group’s volunteers set up this site to help other people in Leeds who manage their own care – or would like to know more about doing so. Their informal advice and support is free, impartial and confidential and they aim to point people in the right direction for the information that they need. Free to Live actively engages with Leeds City Council and other social care providers, meeting monthly to discuss peer support and consultation work at the Leeds Centre for Integrated Living. More recently the group have engaged with Bradford College and York St John University, educating and sharing knowledge with the next generation of student social workers and occupational therapists. The group aim to be self sufficient within the next 12 months and are looking for volunteer funding in addition to offering their consulting services to the local community. Rob is helping with this funding and is an active member of the group, having set up the website with financial backing from Leeds City Council, as they look to extend and replicate their network in other areas across the country. MyCareTracker is a online tool being developed by Rob and Charm Solution Ltd for individuals who manage their own care using either a Direct Payment or a Personal Budget. Although there is a great deal of hype currently about Putting People First and Personalisation in Healthcare, little is mentioned about the consequences of additional responsibility that come with being an employer on people who are ”vulnerable”. As if their lives were not complicated enough, being thrown into the world of employing carers is confusing on its own, multiplied considerably by the paperwork involved and organisational nightmare of coordinating rotas with different people. MyCareTracker will help individuals manage this process and will go a long way to making lives easier and less complicated. This system is already attracting significant interest from a number of Councils who would like to be able to offer such a service to their users. Attitude is Everything improves Deaf and disabled people’s access to live music by working in partnership with audiences, artists and the music industry. Having begun as a pilot project in 2000, they are now a fully independent charity and part of Arts Council England’s National Portfolio of Organisations, encouraging events producers to go beyond the legal obligations set out in the Equality Act and implement best practice, providing a fair and equal service to their Deaf and disabled customers. They support the music industry to understand Deaf and disabled people’s access requirements at music venues and festivals by building equality into the strategic process using a Charter of Best Practice. The ethos of the Charter is that Deaf and disabled people should be as independent as they want to be at live music events and over 90 venues and festivals have already signed up. As a passionate advocate for venues providing more financial equality for those who need a PA or carer with them at all times, Rob became a mystery shopper and recently promoted the campaign in a Radio 4 interview for You & Yours. 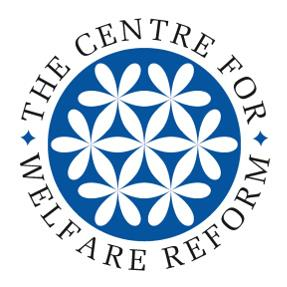 The Centre for Welfare Reform is a community of independent Fellows who are thinkers, innovators and leaders who have demonstrated a real commitment to equality and diversity. The Centre shares good ideas to make human rights real, by supporting an international fellowship to develop their ideas with others and publish them through a library and store. Their Fellowship is an international community of individuals who work together to bring about positive social change, who believe in the equality of all human beings and the value of human diversity; innovate and try to bring about positive social change; support the work of The Centre for Welfare Reform and share what they have learned so others can benefit too. Rob joined in 2015.